With the amount of money changing hands in football these days, transfer fees are scarcely a talking point anymore. Player values are distorted beyond all logic, the market now demanding astronomical fees in a world dominated by crafty agents, whopping signing on fees, eye-popping wages and sometimes outrageous demands. As a Liverpool fan, the fee received for the sale of Coutinho to Barcelona barely figures in my overall thoughts on the deal. €120 million euro is a sizeable amount, and one would hope at least part of it will be reinvested in the squad. With the loss of a player of Coutinho’s calibre, it surely has to be. 1) If he had waited until the summer, there is no guarantee Barcelona would have come in for him again (although, given their persistence, it’s likely they would have). 2) Liverpool had held them off once last summer, so it was always going to be difficult to do it a second time. 3) Football isn’t the only factor at play – Coutinho is, footballing abilities aside, a mere mortal, with dreams, ambitions, preferences and a family. Living in Spain and playing for a club like Barcelona has always attracted South American players, and with a warmer climate on offer and a family with children to consider, it makes the idea of holding out six months for Liverpool’s sake sound a little trivial. The player’s reasons aside, the owners and manager also clearly felt it was in the club’s best interests to let him go now. We don’t know what goes on behind the scenes, but manager Jurgen Klopp and the club’s owners FSG clearly felt that, on balance, allowing the player to move at this stage was best for all parties considered, and one would assume that impact on the club’s season, squad moral, the club’s financial situation and the desires of the player have all been considered at length during the negotiations. Coutinho signed a new five year contract less than a year ago. I know contract lengths mean little in football these days, but agitating for a move, even a major one, after signing a new long-term deal is disheartening for a fan of any club. The player handing in a transfer request on the eve of the start of the season last August also left a bitter taste in many fans’ mouths, and rightly so. And in spite of what I said above, it’s hard not to feel that it would have been a little more respectful if the player had completed the season at Liverpool. Coutinho joined in January 2013. Five years is a long time at one club in today’s world, and it would have been heartening to think Coutinho would have respected the club’s ambitions, given their fight for the top four, enough to finish out the season. All this has no doubt been considered by the player, but it’s disappointing that he decided against it in favour of joining a club which, in January, is running away with their domestic league, and ruling himself out of Champions League action for the season as well. I am unhappy that Liverpool have led one of their key players go mid-season, but it seemed unavoidable. Going back to players being drawn to Barca and Real Madrid, it’s always been the case (Mascherano, Suarez for Liverpool), and it’s hard to see Liverpool resisting the lure of the top Spanish clubs in the foreseeable future, bar perhaps a few league titles. If a player wants to go there, the club is essentially powerless to stop them. What’s more, the suggestions from some sources that Coutinho put up over €10 million of his own money to bridge the gap between the clubs’ valuations speaks volumes about his desire to go. 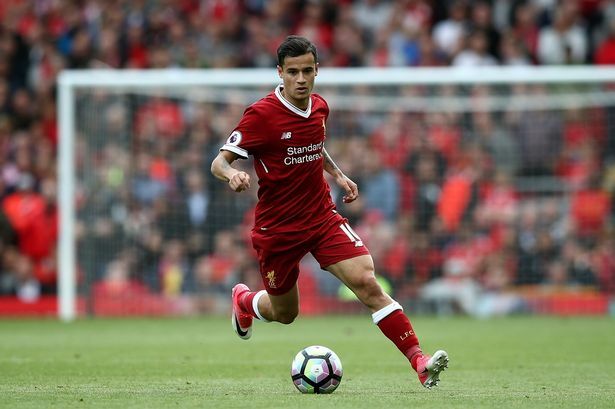 Klopp and the player have both made it clear that the club did everything in their power to keep Coutinho on Merseyside, but what it evidently amounted to in the end was that the player wanted his dream move, a move he had wanted since it first became a concrete possibility six months ago, and was not under any circumstances prepared to wait any longer for it. All in all, as a fan it’s hard to see Coutinho go. Liverpool have lost a fantastic player, a playmaker, someone who differs from most others in that he can single-handedly win a game with one flick, one shot, and who can genuinely bamboozle defenders. Given his length of time at the club, it’s disappointing not to see him finish out the 2017/2018 season, and it’ll be hard watching him drive in a 25-yard screamer in the Barcelona colours in a few weeks’ time. How Liverpool might replace him is one story, his departure this transfer window all the more frustrating given the trickiness of securing good January deals. How losing Philippe Coutinho will affect the squad’s morale, and the rest of Liverpool’s season, is another. Both are unknowable variables as things stand, but both are swords the club’s owners and manager will, in the eyes of many of its supporters, live or die by come the end of the season.